The presented room availability, rates and discounts are actual and final for all our 100 hotels in Helsinki. Dazzlingly white on the inside and outside, Tuomiokirkko Cathedral is currently considered the most famous symbol of the capital of Finland. To get inside the cathedral, you will need to go up a long staircase. When the weather is good, the staircase is always full of people who come here to sunbathe or enjoy magnificent panoramic views of the port. If you have enough time, it is definitely better to follow your visit to Tuomiokirkko with an excursion to the Cathedral of the Assumption. The cathedral is located on the nearby Katajanokka peninsula. The cathedral is known as the most significant Orthodox Church in Finland. Gilded onion-shaped domes and walls made of red brick are very popular with travellers who are keen on photography. This Russian-Byzantine style of the church reminds of Russian reign in Finland, which lasted until 1917. 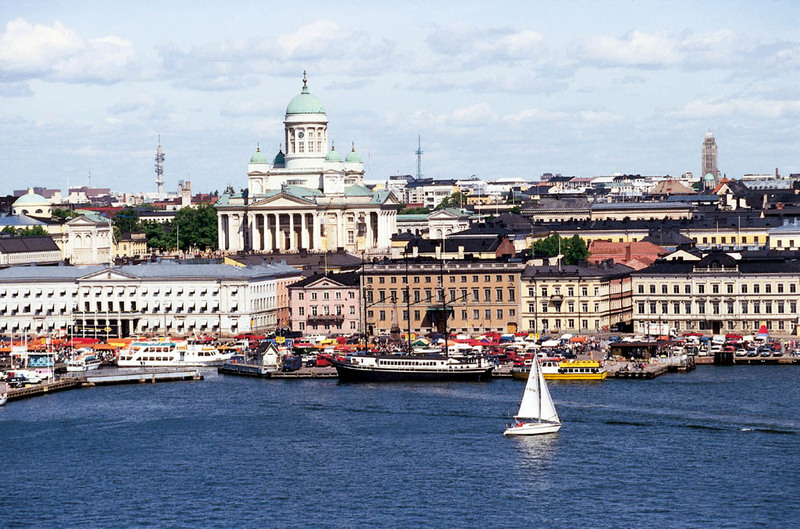 Every year Katajanokka Peninsula is visited by approximately 500,000 tourists. Olympic Stadium is located approximately two kilometers away from the historical center of Helsinki. This is the largest stadium in Finland, the symbol of which is a tall observation tower of 72.71 m. The tower’s length is a bit strange, but it has a symbolic meaning. Its unusual length matches the length of the record spear throw of Matti Järvinen, a winner of the Olympic Games of 1932. The construction of the stadium was completed in 1938, but the summer Olympic Games of 1940, which were to be carried out there, were canceled due to the beginning of the Second World War. 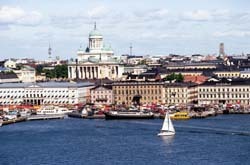 In 1952, Helsinki finally hosted the Olympics. During the games the Olympic Stadium was the main venue for competitions and it provided seats to more than 70,000 spectators. In late 90's the stadium was closed for a five year renovation, after which the capacity of the stadium was reduced to a maximum of 40 000 spectators. When the stadium does not host sports competitions or other activities, its observation tower, which offers a wonderful view of the capital of Finland, is open to visitors.